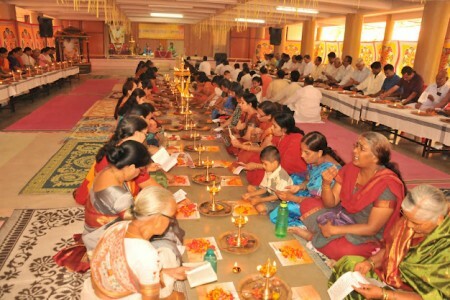 Sri Lalila Sahasranama Laksharchana was conducted at the ashram on 29th April 2012. The programme began with Maha Ganapati Havan at 6.00 am which was followed by 5 sessions of Archana. There was also a pravachan session by Swami Vidyamritananda in which he spoke on the importance of Lalita Sahasranama. Laksharchana was followed by Bhajans in the evening. More than 400 enthusiastic devotees and volunteers took part in the programmes.